‘Ensians knew that they had a hard task ahead playing top of the league Baildon at Chaffer’s Field on a cool dry afternoon with a strong Northerly wind blowing across a pitch in fine condition. They were quickly up to speed and after only two minutes Olly eaves made a break and Connor Bateman outpaced the defence to score an unconverted try wide out. Baildon came back strongly through their pack but good defence kept them at bay with Will Cooper and Luke Cowdell to the fore. After 17 minutes a fine kick by Will Cooper chased hard by Josh Howarth took play deep into the Baildon half. Sam Featherstone was outstanding in the lineouts and following a quickly taken penalty Rob Lofthouse was tackled just short of the line. With 25 minutes on the clock Matt Taylor made a great break linking in with the backs and enabling winger Connor Bateman to score a super unconverted try wide out to give the home team a ten nil lead. Not to be outdone Baildon constructed some nice moves but the home defence held firm. ‘Ensians came back again and after Ieuan Cranswick beat three Baildon defenders the ball passed through eight pairs of hands for Rob Lofthouse to offload to Ross Nichols who powered over to score a sublime try converted by Connor Bateman. Again Baildon came back and after 34 minutes from a lineout near the home line broke through for a converted try to make the score 17 points to 7.One minute later, however, Matt Taylor collected the ball from the loose and from 20 metres broke through 3 tackles to score the bonus point try converted by Connor Bateman bringing the score to 24 points to 7. The last 5 minutes of the half was all played with the Baildon forwards battering the ‘Ensians try line but firm home defence held them out keeping the score at 24 points to 7. The home team started the second half brightly with Luke Cowdell making 30 metres and breaking numerous tackles before being bundled into touch. However after 8 minutes the ball was opened out from a scrum just in the Baildon half and full back Kristian Keinhorst made the extra man putting away Connor Bateman who outpaced the defence to score a superb hat trick unconverted try with a 40 metre run. For the most part the home team was in the ascendency for the rest of the half but try as they may could not breach the stiffened Baildon defence despite having chances. The home forwards played really well and were pushing the Baildon forwards backwards in the scrums .Baildon also had periods of attack but the home defence held firm with 2nd row Jack Wilkinson tackling well. The game ended with Baildon camping on the home line for 5 minutes but unable to add to their score. This was a most attractive game for the spectators with plenty of good forward play and fine open play from the backs. After a fantastic victory over Keighley the week before, it was going to be no easier to beat a Baildon 2nds whod been strengthened by first team recruitments to the club. With young apprentice coach Robbo been on a YRUFC sponsored course all week, learning about - water regeneration & the importance of correct oxygenation, team manager tempo put his new found talents straight to use by letting him fill the water bottles & pump up the match balls, while he got on with the important stuff, getting another win !. with mercenary prop chris booth signing a contract which allows him to play only for viscounts, old modernians or sarecens, the players agreed theyd lost a good BBQ er, even if it was undercooked most of the time, but with Bonner, tony myers & new man Toby all props with ever green ray drake, the loss was made easier to cope with in whats been a problem area for the 2nds. Mid week numbers for 1st & 2nd team were fantastic with 23 players for each, which creates its own problems with only 20 allowed for 1sts & 22 for 2nds, but by Saturday the 2nds had a good starting line up with 3 decent subs. The front row of Bonner, Tetley & ray had plenty of caps between them, with matty t & Andy wood adding plenty of go forward in the 2nd row. Bret tenniswood, the ever improving james smith with andy bower at eight made for a solid backrow. Captain for the day was scrumhalf lewis robinson at 9, with captain conner away for the weekend, hoping to score a try with his latest tinder date !. dom oddy was slightly pushed into the 10 shirt, while gay icon & lumber jack hunk naphone rogers winked at the opposition from his favourite 12 shirt. Daz cooley played 13 while last week’s man of the match lukasz , with mick burts started on the wings, which left new Zealand party boy westy to fill conners boots at fullback. The lowe brothers , ryan & adam were on the bench to cover backrow & the wing, while saga model dan ridgeway filled the last place on the bench after getting back early from a stanner stairlift conference. 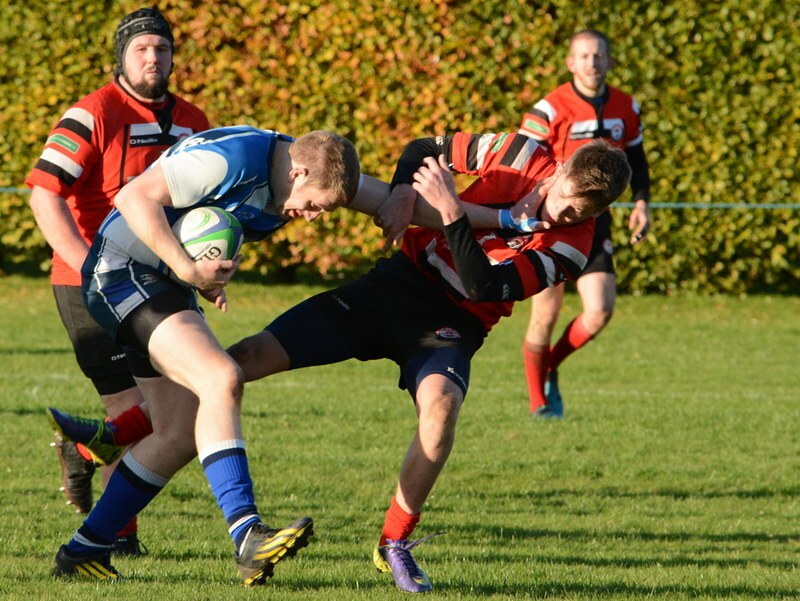 The game started at a quick pace, & any Ensians mistakes were punished by the lively Baildon forwards. On 6 minutes Baildon knocked over a penalty to make it 3 – 0 & show their intentions. The scrums were solid with Ensians able to put pressure on Baildon , & with a bower break down the blind, he pulled in the defence before nicely slipping the ball to lewis who gassed the rest down the wing to score & with matty converting it was 7 – 3. From the kickoff Ensians had to be solid & take the sting out of a now revved up Baildon, but from a mistake from a line out, Baildon were through & over to make it 10 – 7 within 2 minutes of the ensian score. Naphone & daz cooley were causing problems for the Baildon backs, but their 8 & 6 were everywhere to help out & turn the ball over. Lukeasz continued where he left off the week before with some good runs & tackles, with mick burts doing the same. Westy had some powerfull runs joining the line ,but the Baildon defence held out & the last pass was often spilled or forward. At half time the rest of the subs came onto see if they could change something & on 50 minutes, ryan lowe, on the wing showed his pace with a fantastic break up to the Baildon 22 before been tackled, & the recycled ball was spun through various hands for naphone to score, & matty made it 14 – 10 with his conversion. Tempo was shouting for the forwards to get round the catcher & consolidate from the kickoff, but Baildons eight somehow got the ball & bounced about 4 defenders off before passing for a team mate to go over & make it 17 – 14, again within 2 minutes of Ensians score. Naphone moved into the backrow to help negate their 8 & 6, with Jonny Rah playing his first game at 10 & from a break by rogers from a line out, dom oddy was skulking about to take the final pass & score to make it 21 – 17 with mattys 100% kicking record. Ensians made sure that Baildon didn’t come back again to finish the game 21 – 17 for another fine win against strong opposition.